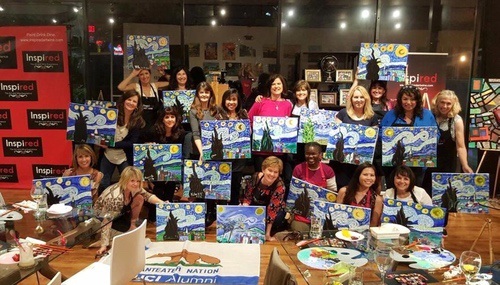 Raising money for your non-profit organization is fun and easy when you host your fundraising event at Inspired studio. Your supporters will have a blast doing so! Inspired supports charities that share our mission to create, share and make a difference. We donate up to 20% of our proceeds from each event to an approved non-profit organization. We require proof of the organization’s 501c tax status and proof that you are authorized to coordinate fundraising events on behalf of the organization. If the organization is not 501c, email or call us and we may still be able to host your event. 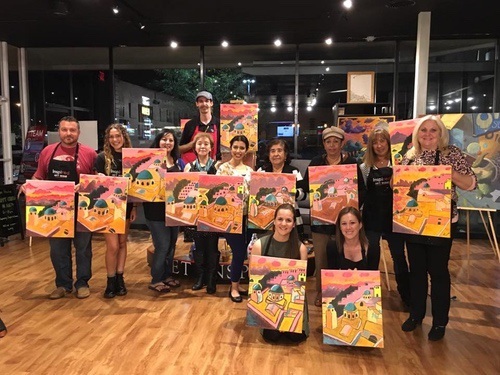 For rental space without the painting event, check out our venue page.